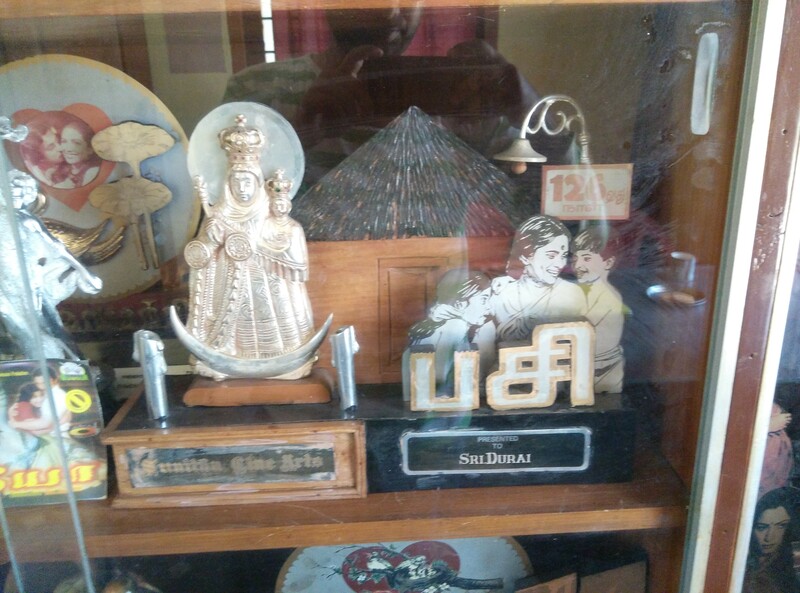 Conversation with Director Durai ..
Over the last few months, one question has set me ticking.. It is almost obvious that we may hardly have anyone credible enough, yet with sufficient memory to recollect experiences of watching Silent Tamil movies. Even the people, who grew up in the late 20s and 30s are getting old, and having problems with regard to Old age. Only maybe from people who were born from the 40s onward, and with a reasonable amount of credibility, and with the luck of having watched a possible re-run of a MKT or a K.Subhramanyam Movie even before they were born might provide first hand experience of the early talkies. I was under the dumbed down impression that people who made films in the 70s and 80s should be available in abundance, until we heard the news of the demise of several Directors or Writers ( Read Legends) like K.Balachander, Vaali , Balu Mahendra, Jayakanthan, R.C. Sakthi etc.. The only way to get a first hand experience of what was in their heads now, is ( if we are lucky enough) if anyone has published their memoirs or cine experiences etc.. This set me thinking. I wanted a first hand experience of my favorite decade of Tamil cinema watching until then.. ( I had not seen any movies of the 40s or 50s prior to that.. I have seen a few now).. Some names cropped up – Mahendran, Durai, Rudraiah ( Even we have lost him as well) and after reading Theodore Baskaran’s book – JayaBharathi..
One fine day, I found an official website of Director Durai, updated with reasonable amount of Meta Data and information about Director Durai. The Phone number mentioned though, was unfortunately not accessible, and there was no response to the email which i had sent. 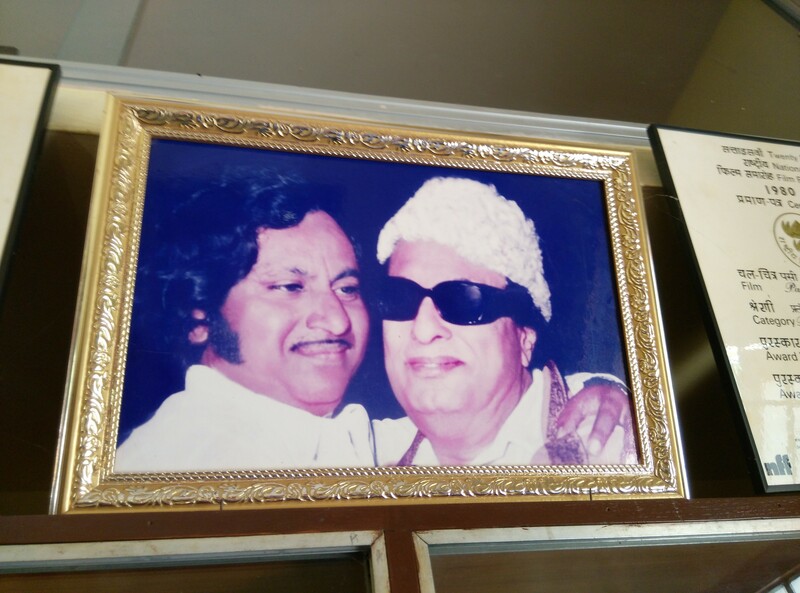 So, I had decided that the next time, I came to Madras, i was going to physically verify the address and hope that he was there. Subsequently, I did call up that person ( Mr.prakash), and when i explained my intention, he spoke with his father, and arranged an appointment with Durai himself. ( I have not seen him to this point, but I am very thankful to you, Mr.Prakash).. When I reached his residence at the appointed time, Director Durai was waiting for me. He offered me to sit down in his office room and excused himself. I had set up my Ipad in a recording position. When He came back, one of the first questions that I had put forward was , ‘Where Are your films?’ – Even, he seemed to have no idea, where they were. 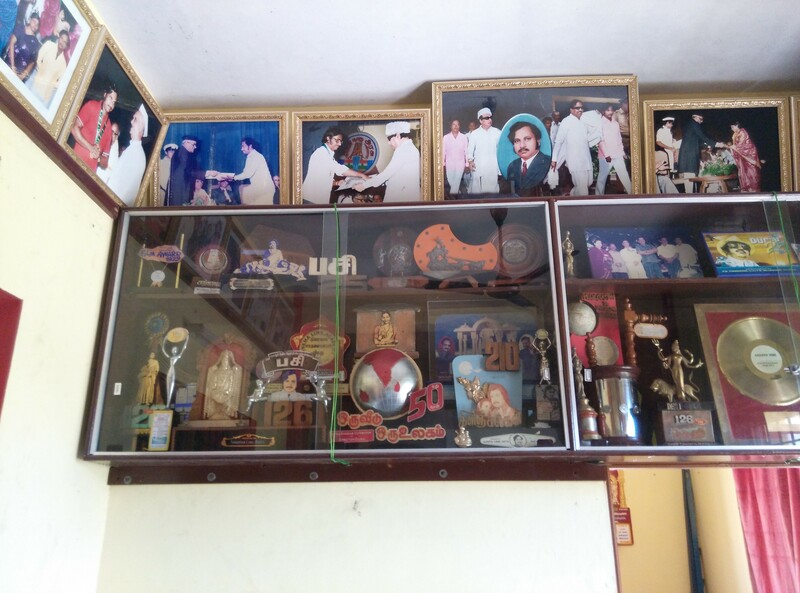 He also told me that apparently in those days, you couldn’t linger along with such huge tin boxes of Positive Fim Reels in one’s home, and once the rights were sold off to a main Copyright Holder, Durai himself, never saw any of these reels again.. I couldn’t obviously ask him much. There were about 40 films, which I needed information about. And at times, he was a little hazy, and his memory was deceiving him. I had asked him information about a movie, which I had no idea, but he had confused it with ‘Aval Oru Kaviyam’, a movie, whose print is available, thankfully. He gave me thread bare information on Films like ‘Kaadu*’ and ‘RaghuPathi Raghavan RajaRam’, prints which are virtually untraceable. I asked him about a movie, which had at some point been telecast in Private Television channel, about the producer, and he confirmed it. I then spoke with him about “Aayiram Jenmangal’, and about the story being directly ripped off, and being used in a contemporary comedy/horror film. He told me that he too had heard the news, and apparently a few people had suggested him to file a case against the concerned people, but somehow he wasn’t too interested in pursuing such things. 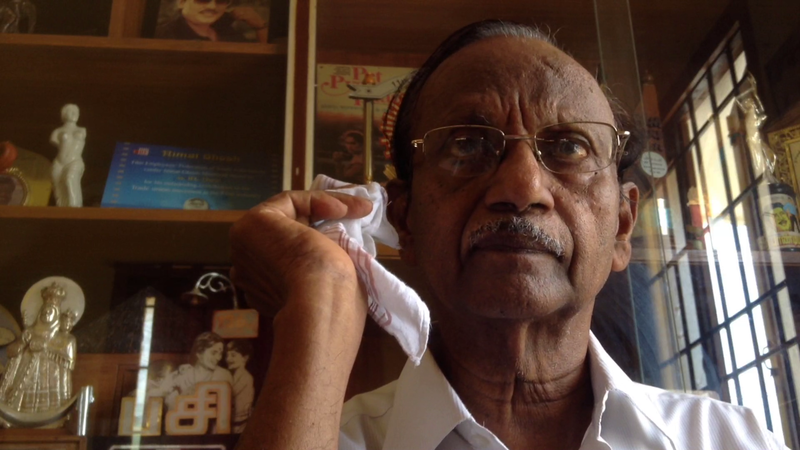 I also spoke with him, about Visu’s role as a Dialogue writer in the movie ‘Sathurangam, (1978) , and about only half of the movie’s video being available. He had no idea about this.. In the meantime, he had got some tea and biscuits for me. He spoke about personal incidents in Pasi and Oru Veedu Oru Ulagam ( I guess, these are his two best remembered films). He also spoke a bit about how he entered the film world through ‘Avalum Penthaane’, and his early years as an assistant. When i asked him, whether his peers had no knowledge about getting their films preserved at the NFAI, in the 70s, No, came the answer. To be fair enough to him, You can’t blame him. This man was doing 6 films a year in the late 70s .. He then took me around his residence and explained the photos and awards which he had received. I had insisted him that he continue writing his biography and publish it for the future reference and in the general interest of the public. He has already written a bit, but he told me that he has stopped writing for a while. I did have another stream of thought, but I didnt feel that I had reached a position where I could make such a strong suggestion, so I just refrained myself. Hopefully, something whats in my head will take root at some point in the future.. This entry was posted in KTP-Exclusive Interviews and tagged Director.Durai on September 5, 2015 by Sugeeth Krishnamoorthy.